This fun, six piece series, features the popular cookie cutters from Nina Aubé filled with seasonal scenes. Each cutter depicts a seasonal scene with a grey mouse inside a seasonal copper colored cutter. 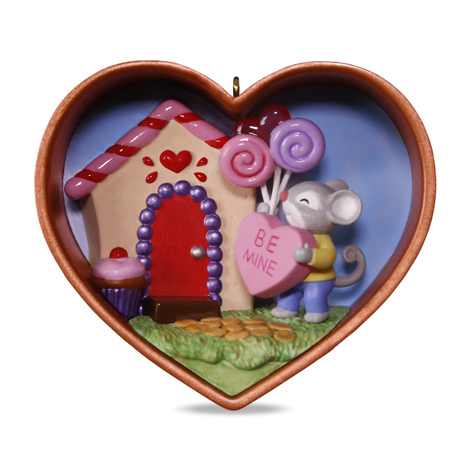 First in the series is a Valentine's Day cutter - our mouse friend arrives at his sweetheart's door bearing gifts.